A new report detailing the experiences of 42 women trafficked from Cambodia as brides to China found that officials in both countries were largely unsupportive in helping women escape once they were caught in unwanted domestic captivity. “The research has revealed that police officers, especially at the local level, at times seem ill-equipped for this task to date,” the U.N. Action for Cooperation Against Trafficking in Persons said in the report. Drawing on interviews with 33 women that had returned from China and nine still abroad, conducted between September 2014 and March 2015, the report called for officials in both countries to get a handle on the growing bride-trafficking industry. 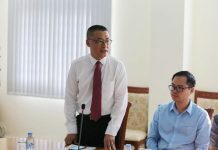 The report said that one woman’s attempt to flee her husband in China was rejected by officials due to “seemingly legitimate marriage registration papers.” Some brides who were able to reach Cambodian embassies or consulates—often far from where they were married off to rural Chinese men—were passed between offices, it said. This “exposes them to unreasonable risks including further exploitation, arrest and deportation, or at a minimum increased costs to reach assistance,” it added. 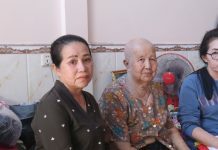 According to the report, the number of women repatriated from China by the Cambodian government quadrupled between 2013 and 2015, to 85 in a single year. The trend is unlikely to let up, it said, considering “the widening surplus of men over women in marriageable age in Chinese society, which is estimated to reach 30 to 40 million by 2020,” creating “a large pool of bachelors looking for partners” at the same time that migration out of the country has increased in Cambodia, especially among uneducated women. The surveyed victims, ranging in age from 18 to 37, were commonly recruited by brokers within their Cambodian communities under the false pretense of a high-paying job in China. Women who agreed to marriage arrangements were similarly misled, thinking they would be met with wealth, but instead were married to poor men in rural areas, it said. But while Cambodia and China have recognized the need for prevention measures, with a memorandum of understanding on the issue in the works, efforts to train local officials and support victims remain lacking, the report said. If victims “met police in or around their communities, their cases were often treated as domestic problems and the women were returned to their husbands,” it said. Helen Sworn, international director of anti-trafficking organization Chab Dai, said China’s strong restrictions on nongovernmental groups further diminished the likelihood of victims receiving proper support. “It’s very challenging for NGOs to operate in China, and normally with our cases we’re very reliant on partners,” she said. “Because of the legal system, it’s very hard for them to get out of China,” she said of victims, who sometimes resort to sleeping on the street once they have escaped their husbands, making them vulnerable to confrontations with local authorities.